Babblings of a Mommy: New Barbie Magazine Available Now! 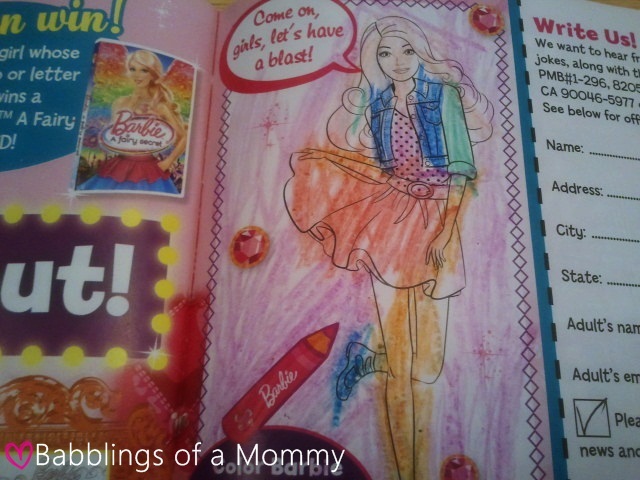 New Barbie Magazine Available Now! 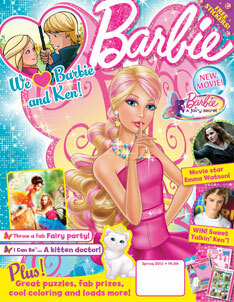 Get excited Barbie fans--Titan Magazine is launching the all new Barbie Magazine! 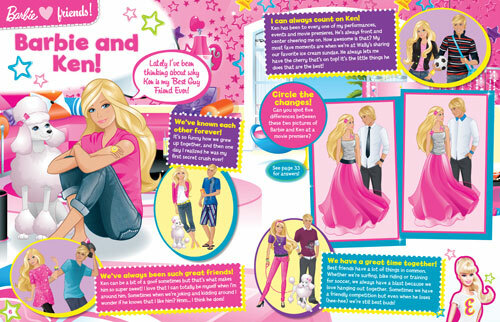 The Barbie Magazine is just like the Dora the Explorer and Friends mag in that it features exciting stories, puzzles, stickers, and do-it-yourself crafts for your little ones! 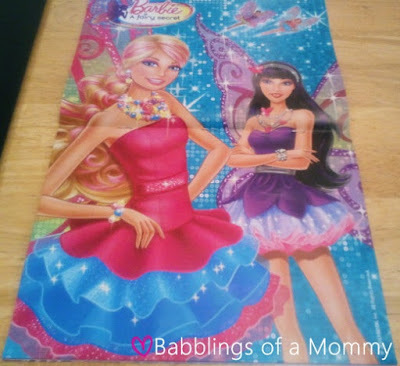 I will say that the only difference between the two is that Barbie Magazine maybe geared towards older girls, (I would say 7 yrs+) because it has a lot of comic-like pages that your older daughters will enjoy reading. For the little ones however, they do have a few coloring pages they will be delighted with. Barbie : A Fairy Secret and introduces girls to movie star Emma Watson. price ­ four fabulous issues for just $17.99!